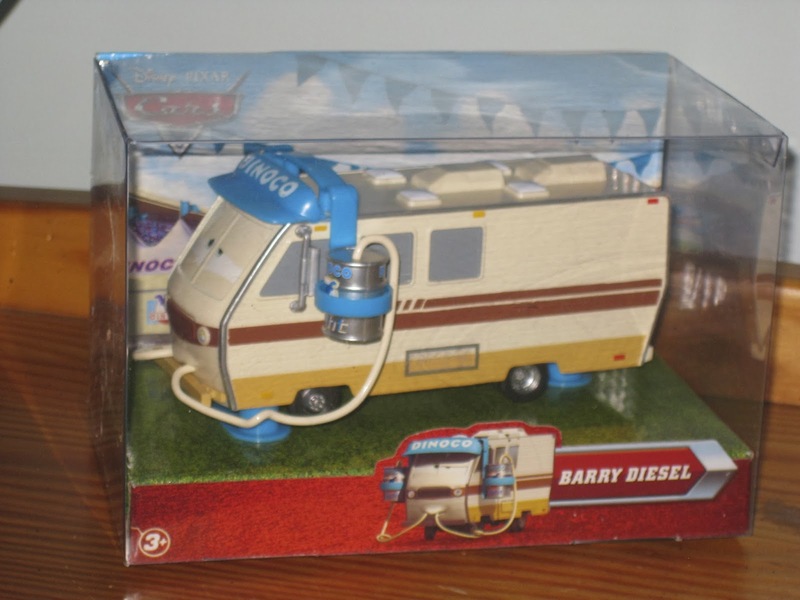 Here is the Mattel diecast, Barry Diesel! Barry was seen in the first Cars (screenshot above), a racing mega fan who is a pretty recognizable background character. It was pretty hard to find and sought after for a while but it's easy to find now for a decent price. 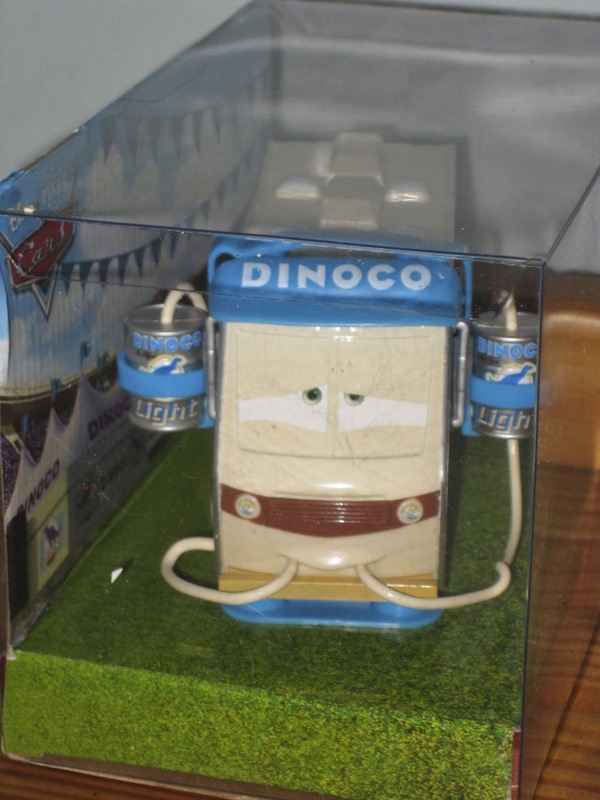 It was originally being sold primarily at Matty Collector and Children's Toy Closet but has since been available through other websites. I got this for Christmas from Amazon for about $37 and free shipping! Everything is metal/diecast except for the hat and cans. 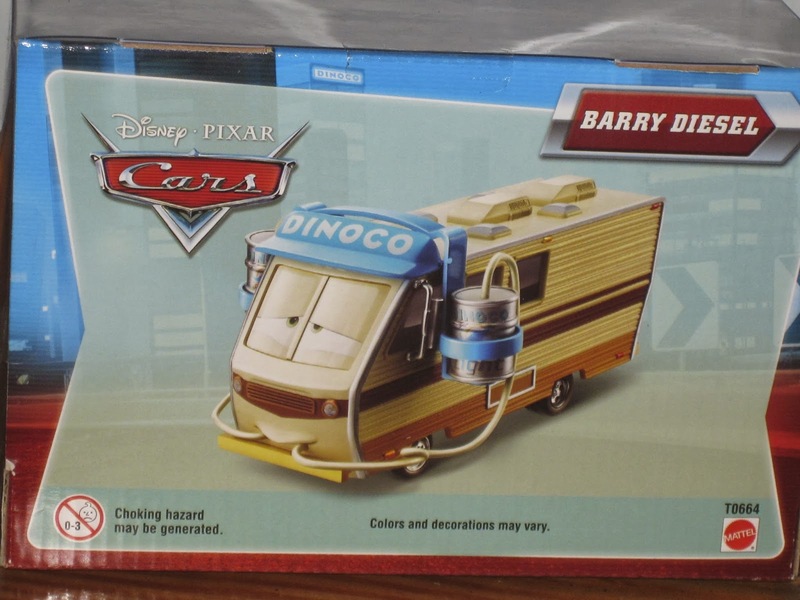 Barry comes in this really cool collectible package and is a great collector's item for any Pixar/Cars fan! You're right that it was sold through Matty Collector's site - Children's Toy Closet had bought a ton of them through there so that's why they had so many, but it was only an exclusive through Matty Collector! I love Barry - it's such a unique one and I was happy to see it produced! 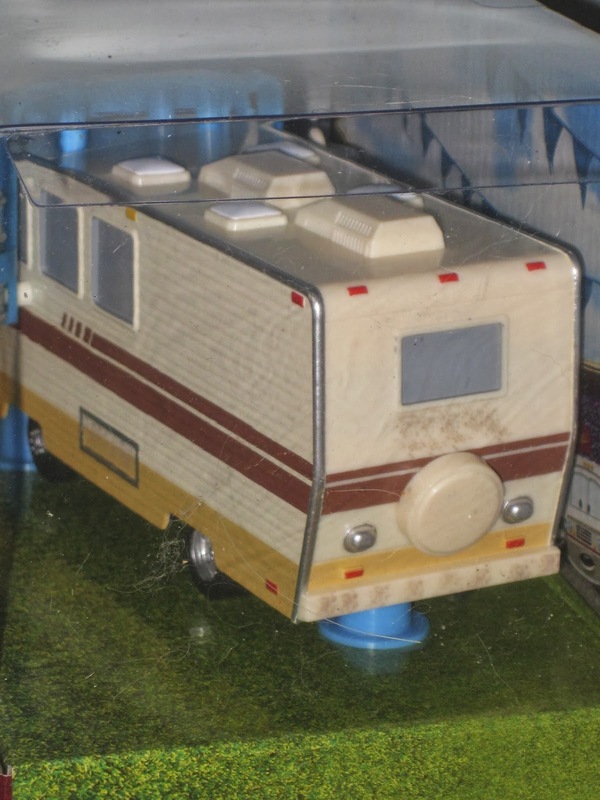 Yah I saw you had Barry in your instagram pic of a portion of your Cars collection! It is a fantastic car, absolutely. Love the case and just the size of it. Great collector's piece. And thanks again for the additional info...I'll update this post now as well!